I recall it was a jazz band, possibly one that was popular in the night clubs. I know nothing else. All evidence of the origin of this photo has disappeared into the Internet memory hole. 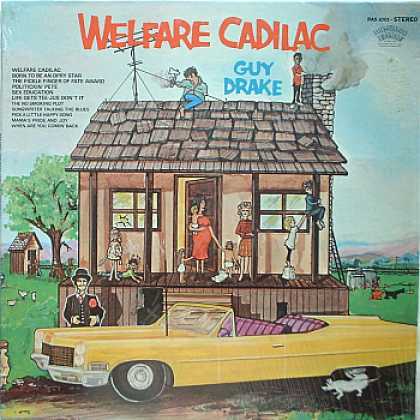 Guy Drake had a minor spoken-word hit with “Welfare Cadillac”, a song which poked fun of welfare recipients. 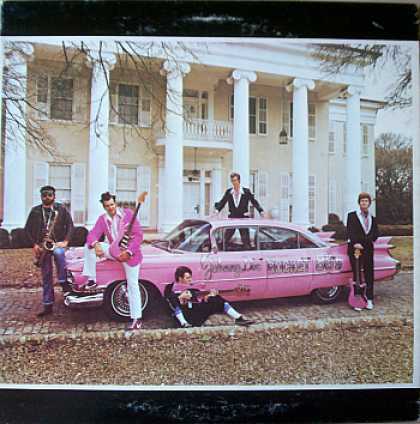 Johnny Cash was asked to perform for Richard Nixon, and Welfare Cadillac was one of the songs Cash was requested to play. He refused, citing “short notice” rather than political reasons. Drake’s tune was one of a small group of “right-wing” hits; another from the same period being “Hokie From Muskokie”, a tribute to Nixon’s Silent Majority who didn’t protest the war, didn’t use recreational drugs, and didn’t listen to rock-and-roll.